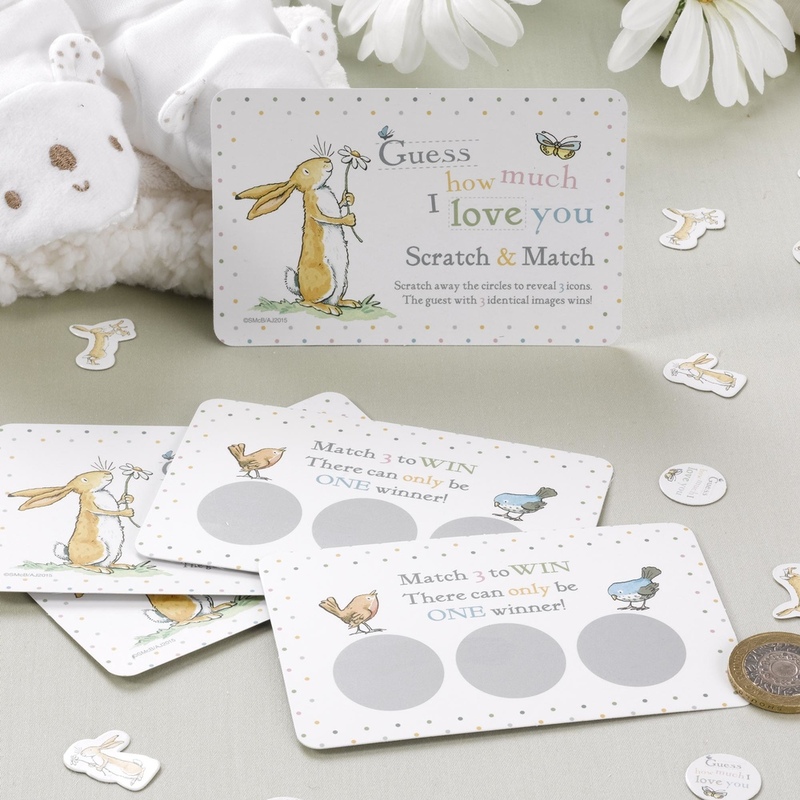 A pack of beautifully designed scratch cards, part of our ‘Guess How Much I Love You’ range of party ware, based on the much-loved children’s book. Packs contain 10 cards, including one winning combination with three matching characters. An imaginative addition to your baby shower or birthday celebration, these cards add an interactive element to special occasions and feature the beautiful watercolour illustrations from the book, including the instantly recognisable Little Nut Brown Hare.